Executive Team Building | Executive Team Activities | WILDLY DIFFERENT! If you’re planning an executive team building event or retreat, remember Heraclitus’s quote – “A leader is most nearly himself when he achieves the seriousness of a child at play.” These executive team building events use the power of play to help your top executives or even board of directors tap into their creativity, get inspiration, look at their business in a new light, help others, or simply return to the office refreshed after participating in a fun activity. There is a wildly different array of charitable events we can organize to give back to your favorite type of charity! 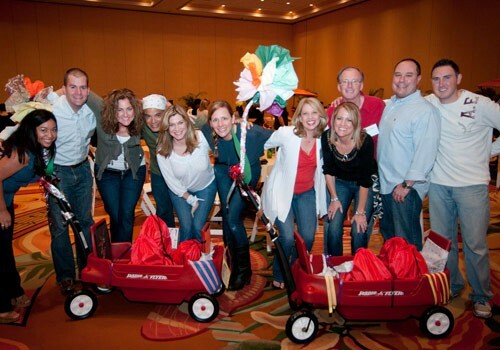 Find the perfect charity team building event for your executive staff or board of directors.. If you’re interested in participating in an Escape Room, but you have too many people to fit in one room and/or don’t have the time in your schedule to go off-site to one, we’ve cracked the conundrum on how your group can still see if they have what it takes to escape! Have your guests participate in a virtual Escape Room where they must crack three different codes to escape a series of screens before the time on the countdown clock runs out. Looking for a way to connect your attendees remotely before your meeting? Smart Connections allows for your attendees to connect using their own phones while gamifying educational learning objectives. Colleagues can play individually or earn points for their region while completing a variety of challenges. 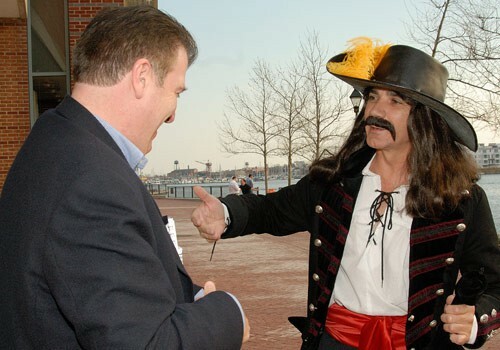 The connection and interaction continues on-site when attendees meet face to face. Working together as a team is essential if you want to achieve your business goals. But, every team member is different – how do you maximize these differences and put them to work for your business? During this high-tech event, teams have fun completing tasks that emphasize the value of different dynamics within their own team. This then sparks a lively conversation in a self-debrief held at the end on how to build on these dynamics to grow as a company and team. Dave Mitchell, named Best Speaker of 2013 by Meeting Professionals International and whose book was selected as Best Business Book of the Month by Amazon.com when it was released delivers experiences that can best be described as performance psychology meets stand-up comedy. Your executives will laugh out loud as they learn more about themselves and others in their lives in a series of topics such as The Power of Understanding People, High Performing Culture and Expanding Your Market Share. Just as executives are always striving to reach the top, this executive team building event finds participants competing to be the team that summits a fictional mountain first. Teams alternate competing in mountain-themed challenges and solving clues. 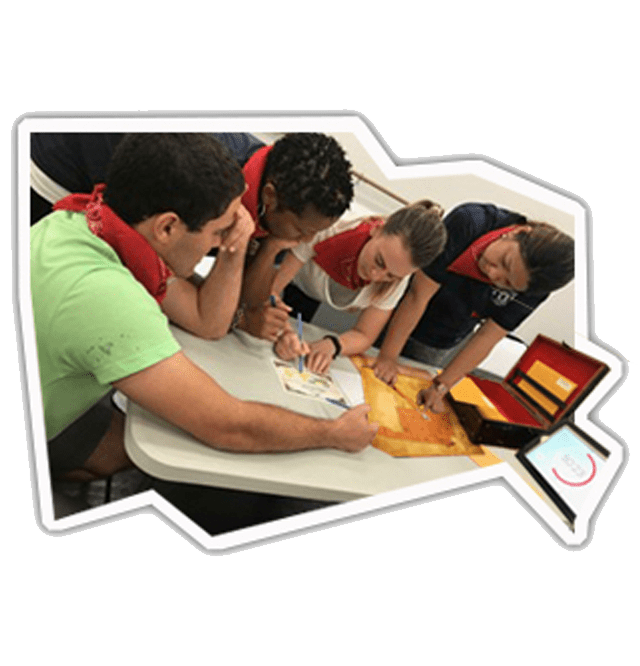 If they are the first to complete the challenge, they get a hint to solve the clue and if they are the first to solve the clue, they get a tool that will help them in their final quest. In this creative and challenging event, teams are required to create, market and pitch a product good enough to prove they have the business acumen and entrepreneurial skills to rival the most successful entrepreneur. Which team in your group will have what it takes to come out on top in this competitive challenge? Plan Your Executive Team Event Today! 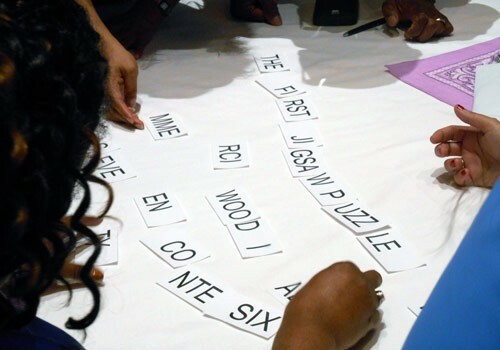 Read our blog on tips for planning a successful executive team building event. For this executive team building event a group of 60 lawyers wanted to put their great legal minds to the test to see which team would be the first to escape a fictional castle…in the comfort of their one meeting room. Each team received a map of the castle and all were told the only way they could proceed from the dungeon they were locked in was to solve a series of conundrums that unlocked the doors that would lead them from room to room on the map. In brief, the first team to make it to the roof of the castle would be whisked away by helicopter, leaving the other lawyers to plead their case with the villain who locked them away. 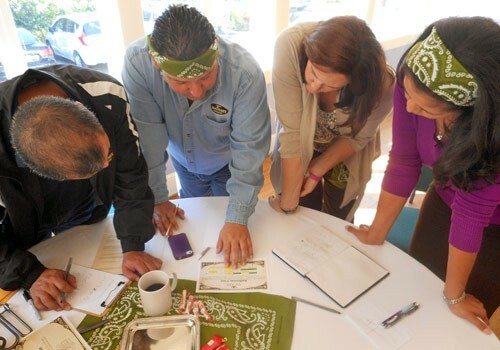 Ready to Plan Your Executive Team Building Event? Contact Us Today.